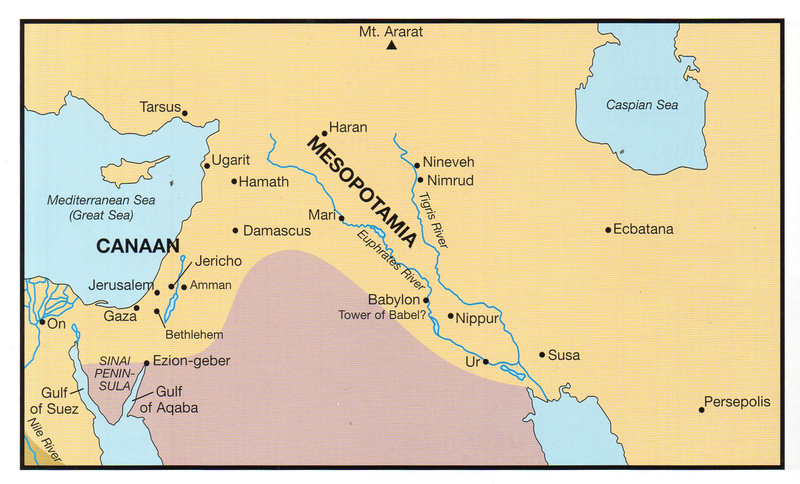 Mesopotamia is the region known as the cradle of civilization because this is where the Garden of Eden was probably located. In Genesis 10:10, it was also called Shinar where Ham's descendants settled. The earliest known inhabitants were the Sumerians, Akkadians and Chaldeans. Later civilzations to settle this area were the Assyrians and the Babylonians. Modern day countries that reside in the boundaries of Mesopotamia include Turkey, Syria, Iraq & possibly a portion of Iran. Akkad is stated as being settled by Nimrod, the son of Cush & grandson of Ham in Genesis 10:10.